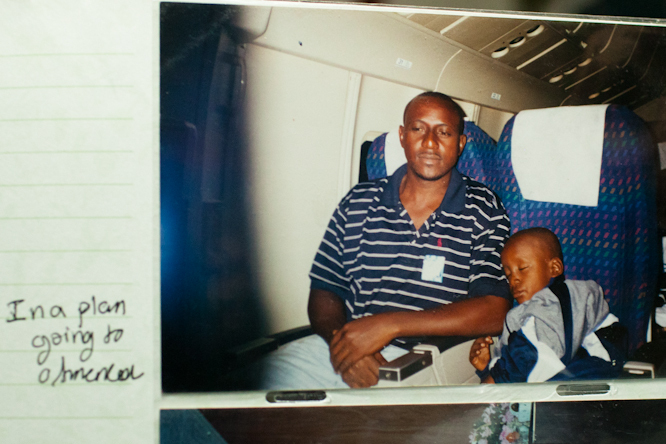 In 1987, Warith Deen Muhammad, the son of Elijah Mohammad, took a shovel and dug it deep in a small farmland. 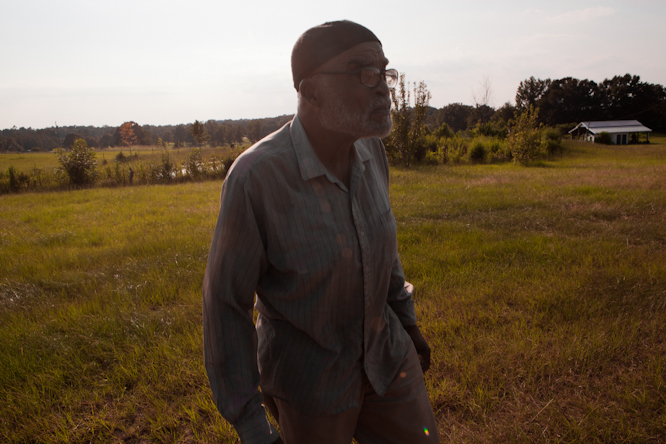 It was the groundbreaking for New Medina, a small community in rural Southwest Mississippi that would celebrate the values of Muslims and the African American experience. 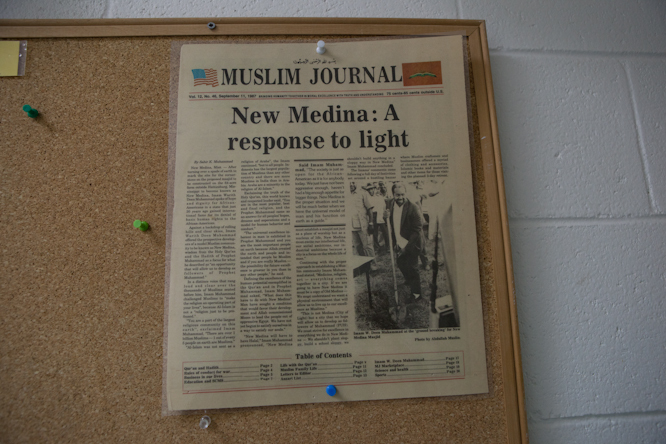 The story made the front page of The Muslim Journal and many members of the African American Muslim community were enamored by the idea. The promise of a self-sustaining community that championed values, harmony and healthy living was compelling. More than 5,000 families inquired to buy land. The plans were drawn out and many families began to move into the New Medina. They were all pioneers part of this large and revolutionary initiative that hoped to create a unique and vibrant Muslim American culture. Aman and I enter the gates of New Medina and make our way to meet the Imam, the spiritual leader, of the community. We aren’t sure which one is his house so we begin to knock on all the doors we see. The town is quiet. Not a single car or soul passes by. 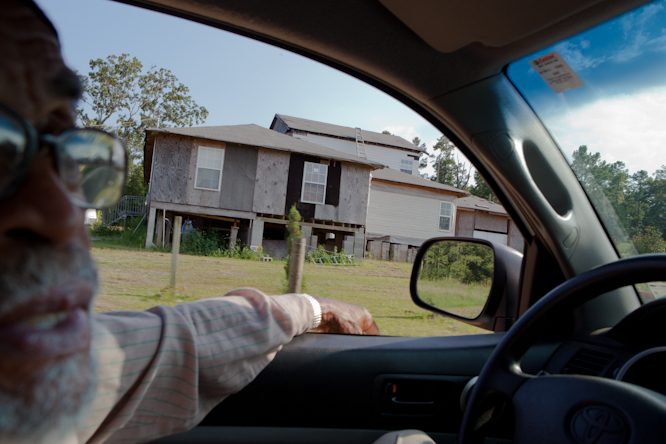 Soon enough, we find ourselves at the door of a man named Abdul Shareef (Brother Abdul) and he is happy to take us on a tour throughout the New Medina property in his Toyota pick-up truck. Shareef is 81 years old. He hunches when he walks and speaks with a soft, disarming cadence. 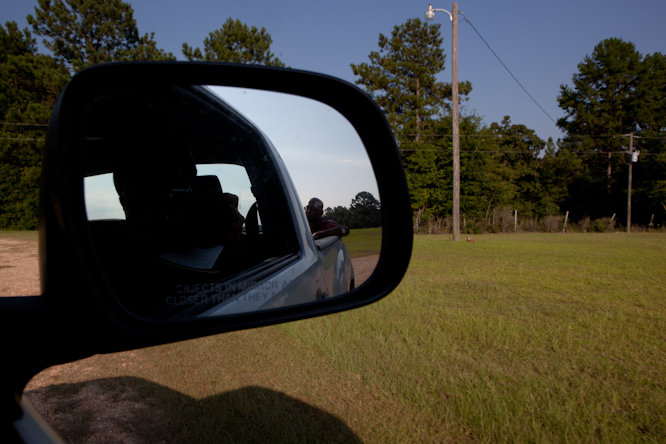 I ride shotgun in his truck as he takes us through the neighborhood. Brother Abdul is a pioneer of the community. He was one of the founding members of New Medina. I asked him why he wanted New Medina to be in Mississippi. 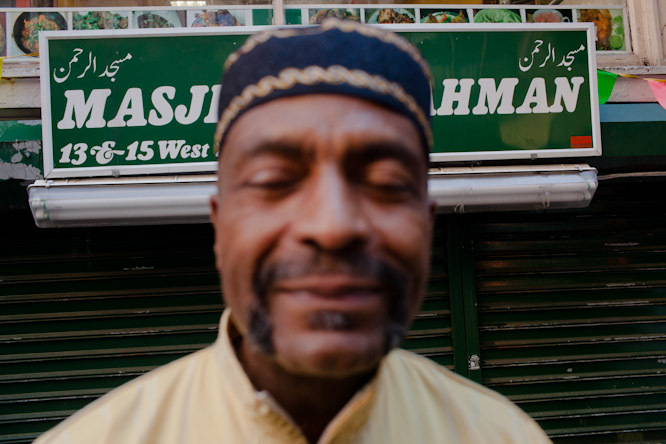 Brother Abdul worked as a mailman for the post office his entire life. He retired in his 60’s and now spends most of his time at the mosque. His wife and him have been married for the past 62 years. There are only eight families in all of New Medina. Two of the eight are Christians, but all are African American. There is a sea of wild grass on all sides of the area with small vegetation areas fenced up. Most of the families have their own farms, some grow chicken, others grow vegetables and fruits. 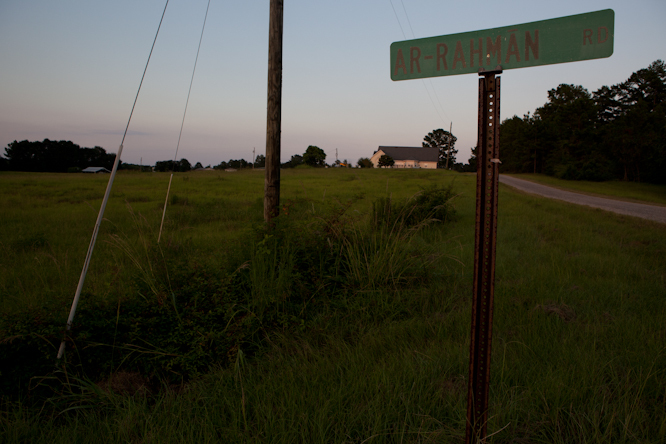 All the street signs are named after the attributes associated with God: Ar-Rahman, the merciful. Al-Halim, the Forebearing One, etc. 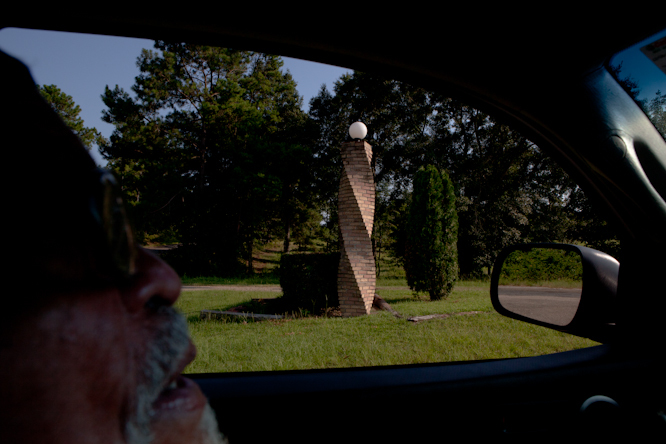 The majority of the families that live out in New Medina are retired or have some sort of supplemental income that allows them to live out as far as they do. 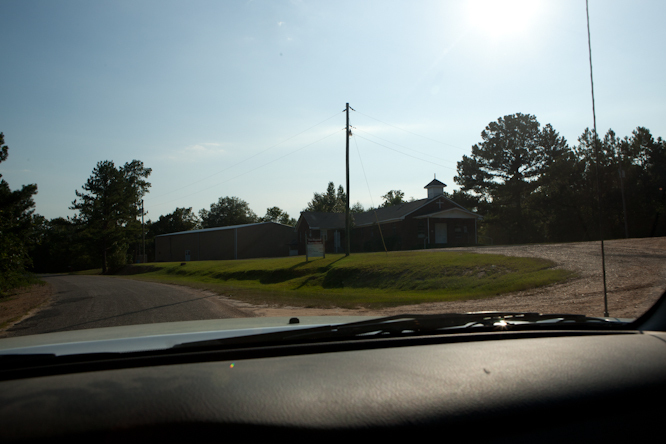 The lack of career opportunities in rural Southwest Mississippi made it less appealing for young people and that’s why New Medina has now become more of a retirement community than a haven for young Muslim cultural development. This has been the most difficult hurdle for the growth of New Medina and that’s why development has been stagnant. We all gather in the mosque to break our fast. 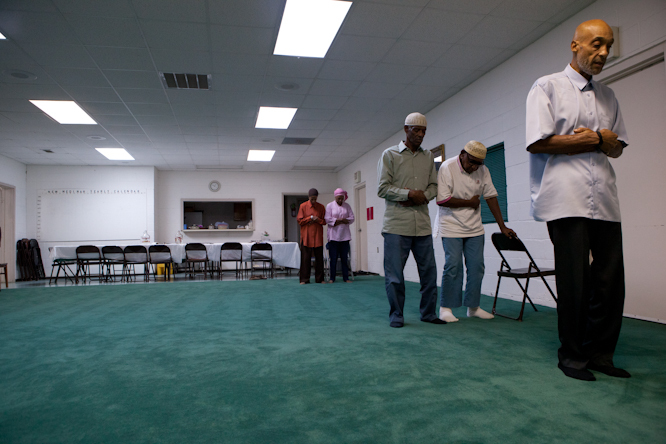 The mosque serves as the center of all the community activities. There are two women and four men present. They welcome us with open arms and dates. Most people in the community have retired and are enjoying the quiet life. 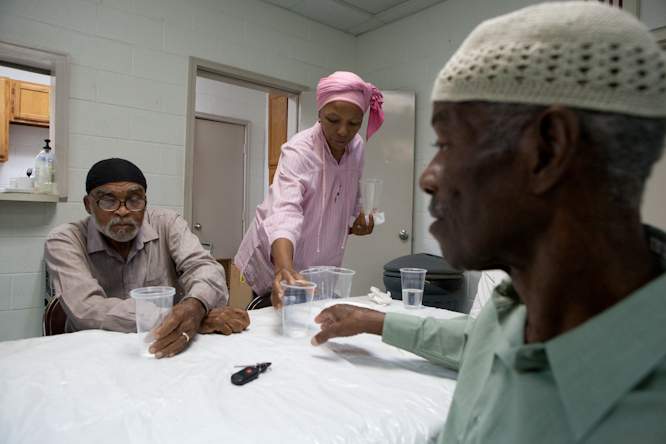 The imam of the community, Alvin Shareef, is the son of Abdul Shareef and teaches computer classes at the local community college in Southwest Mississippi. Him and his wife seem to be the youngest members at the dinner. Everyone has a glass bottle in their hand that they use for water. 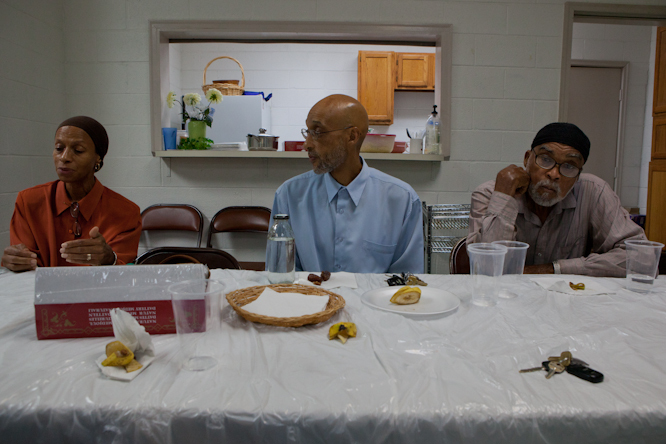 “We try to cut back on as much plastic as we can.” Imam Alvin says. The community dug a well that serves as their primary water source. It is some of the best tasting water I’ve had. The members of the congregation are all health conscious so a lot of the food we have for dinner is grown locally. There is a part of what he’s saying that makes a lot of sense, but there is a part of me that refuses the idea of living out and away from everyone else. “But don’t you feel like you are just escaping from everything else?” I refute. “How old are you?” Asks one of the ladies sitting in the distance. Everyone laughs. A part of me is upset that my point isn’t understood but when I look around I can’t help and notice that everyone here maybe 30 to 40 years older than me, but they are in great shape, have very healthy eating habits and most importantly are happy doing it. So I join them in the laughter. I have to accept that most people in New York their age are not as healthy or happy. We head out in the night with Brother Abdul as our guide. 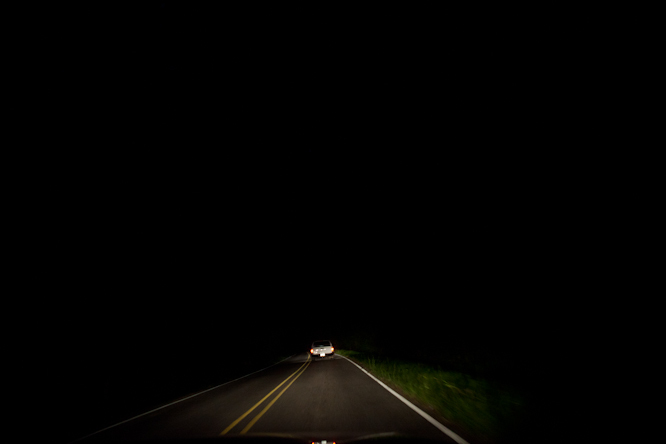 There are no lights on the road, just a Toyota Tacoma leading the way. We follow him as carefully as we can. I stick my head when I notice the stars in the sky. I flip out. Aman shrugs. Living in New York City the lights from the buildings blind what’s above us. It had been over a year since the last time I saw stars. The sky stands naked, the way they looked in my astronomy textbooks, the way we all are supposed to see them. A minute later, the highway stands in front of us. The flood lights of the highway blind the sky but will help guide us through the night. Brother Abdul waves goodbye. 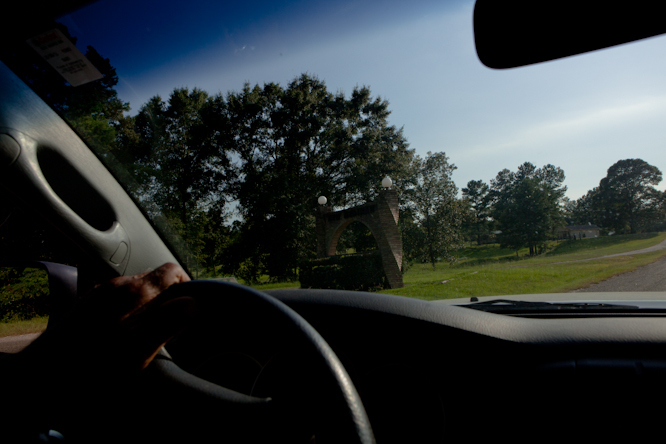 He turns his Tacoma around taking the skies and stars with him. Well that is just cool. Thanks so much for sharing. Having lived the rural life and the urban life, I get it. There is a peace that can never be found in an urban setting. Children grow up having looking at clouds pass by, skipping rocks for hours on end, and appreciation for the outdoors that no urban kid will ever understand. 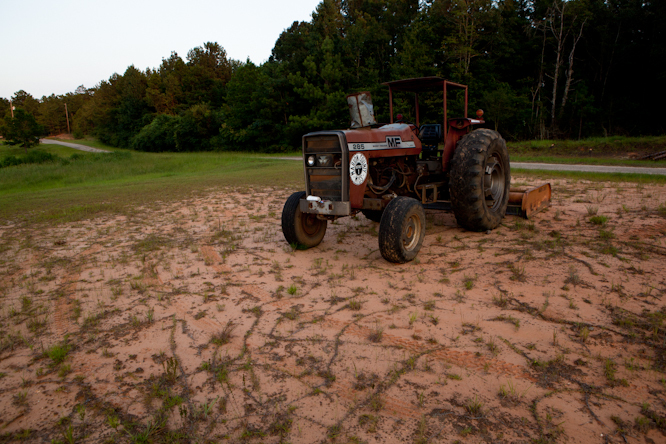 Rural life by default accepts the insignificant and ephemeral nature of our life. You understand quickly, how we are all subject to the whims of Allah. In an urban setting this realization does not come easily. We have a means and method to combat almost all natural forces. When it rains, you can go to a shopping mall, when you look up you see tall buildings and man-made lights, when you are hungry, you go to a restaurant and for this reason urban people have lost touch completely with their actual food (seeing an animal pass away, and respecting it for the nourishment it provides you). Urban dwellers subconsciously begin to think that they have more control over life than they do. Rural people always know they are one drought, one tornado, one hurricane, one tsunami away from destruction. That is a very good summation, ma sha’ Allah. 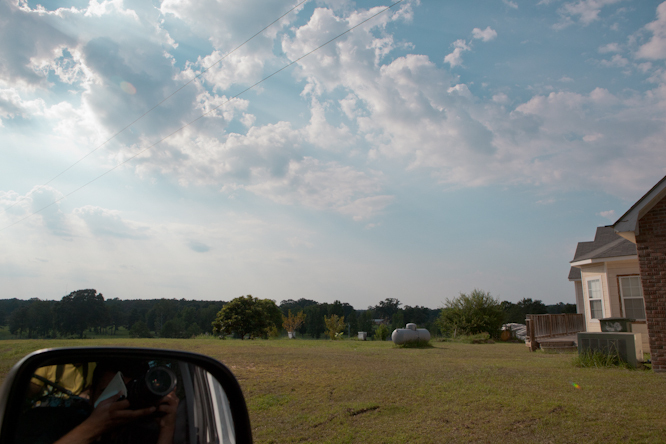 I completely agree: there’s nothing like the peace and the connectedness of a rural area. 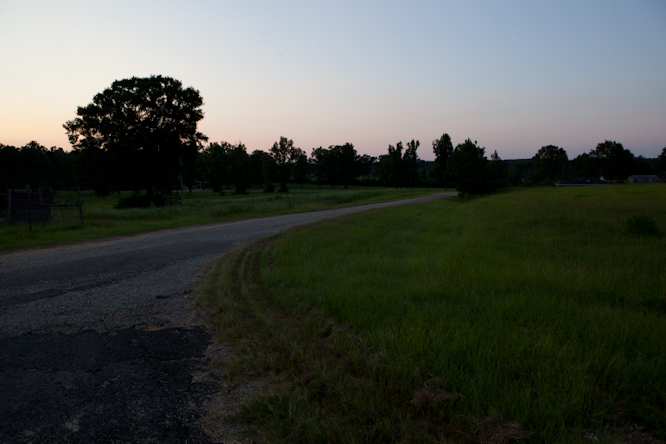 It wasn’t until I lived in a rural area (no running water, no electricity), that I truly realized my need for God. The rise and fall of the Nation of Islam is an important aspect of the history of Islam in the US. I applaud the authors’ effort to profile this unique community. it’s so sad to see so few living in new medina. masha’Allah, wonderful post. I would love to learn more about this little town. What a beautiful lifestyle. Bassam, I actually think they were on to something when they said you’re too young to understand. I’m 31, and it’s only in the last few years that I’ve come to a point where I might agree to one day live a lifestyle such as that of New Medina. I’ve lived in or near big cities all my life, except for when I went to college, which was in rural Iowa — and I, too, was amazed at the number of stars you could see there. There was more light pollution there than in New Medina (since I lived in a town of about 10,000 people), but the only times I’ve ever seen the Milky Way as a white band running across the sky were there, and there are few other things that can as powerfully remind you of God’s majesty as the Creator. Since college, I’ve been living in cities again, and although I like them and enjoy them in many ways, I actually wouldn’t mind moving to a place where I’d be a thousand times more connected to nature, breathe exhaust-free air, drink well water and grow things that would then form the basis of my dinner. And where my son could play with baby animals and run around in the fields, instead of being circumscribed by the confines of a city. But if you asked me when I was 24, I’d probably say that all that is nice, but I need the bright lights and the 24-hour coffee shops. very interesting,, thanks for enlightening us. well it’s cool story …thanks for post..
Beautiful post! I hate to move away from the discussions of peace, community, and communing with nature but what could promote New Medina is business. Now that people are catching on eating healthy, organic products people may find their way to New Medina to cash in on this wave. Bassam – this has been your best article so far. Very well written. There was a good flow to it, and smooth transitions. I would have loved to know more about the gap from when the community started to now. With over 5000 people interested, what happened? Or are they part of the older communities that are now retired down there? I agree that though I probably can’t live outside of a big city, there is a certain lure to a simple country life. Especially one where you can be self sustained. I think it’s the same part of me that is attracted to Escapism when things get too tough. NYC can sometimes be too large, too distracting. A space like this would force you to reflect and find peace somehow. Or I could just be romanticizing a world that is just as difficult, but in it’s own way. How open to new Ideas would the elders be? I understand how important it is listen to and honor our elders. Are our elders ready to be involved with and support their youth? Where is the cemetery located ? I positively appreciate コーチ. They go together with nearly anything so they are really terrific to classes. Plus they always retain me vogue! This can be somewhat valid position as improved inside blog. Understand raving about in and around.